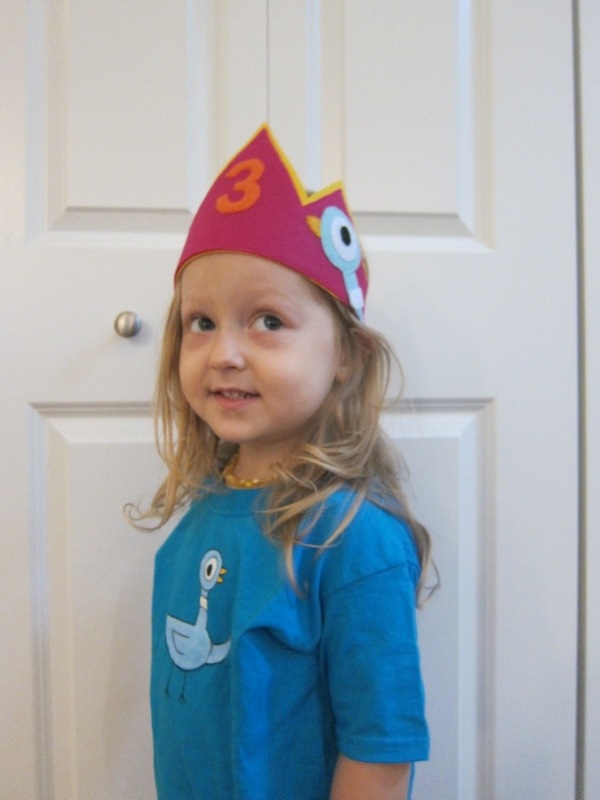 I knew right away that I wanted to make Evie a crown and a shirt for her birthday. 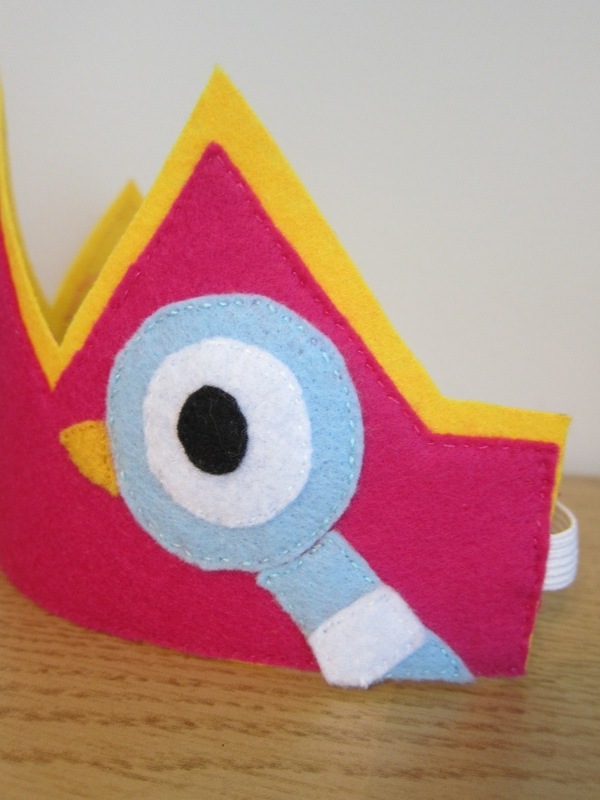 I really liked the tutorial I used to make the lucky underpants, and she also had one for making a felt crown. I used her template for cutting out the crown shape and used the different decorations as a size guide. I knew I wanted to put a number 3 in the center and Pigeon on one of the sides. I figured I’d also put Duckling on the other side, which I think turned out pretty darn adorable if I do say so myself. 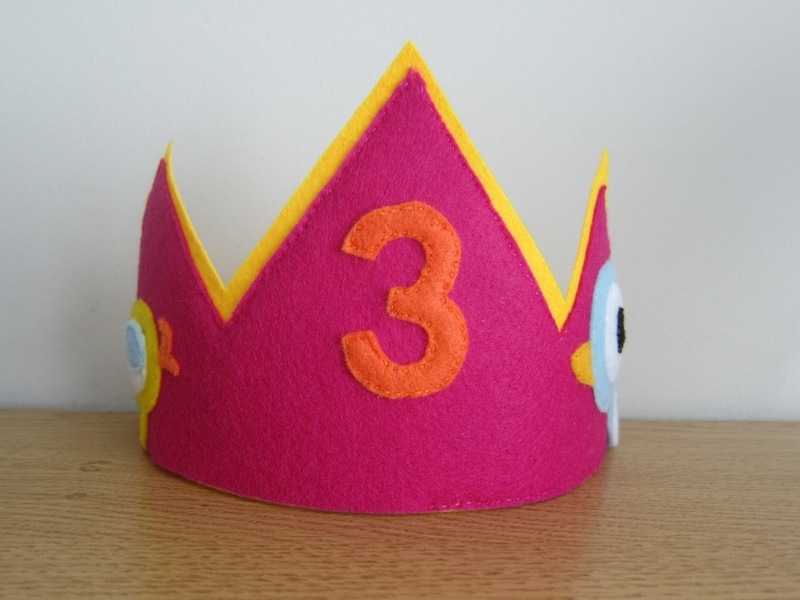 The yellow felt is a stiffer felt so that the crown was a little more stable. 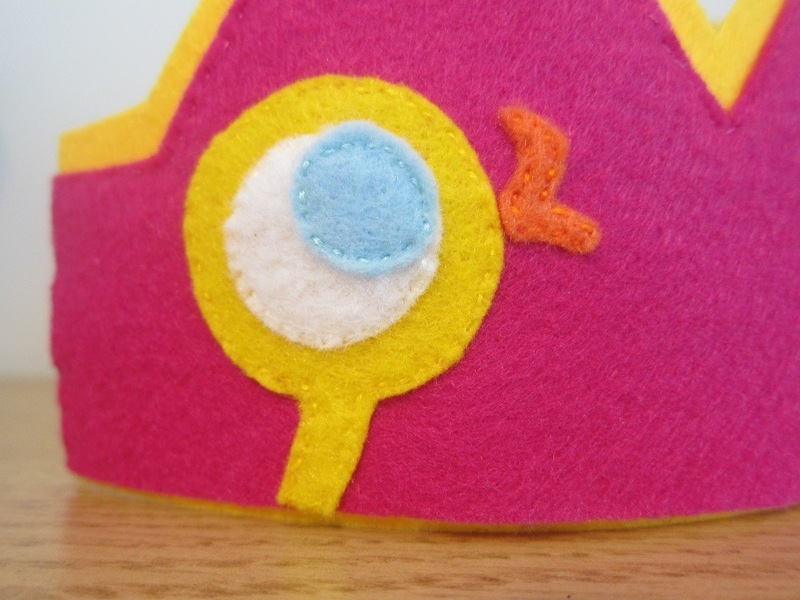 I originally started on the pink but it didn’t stand up very well so I added the extra layer. 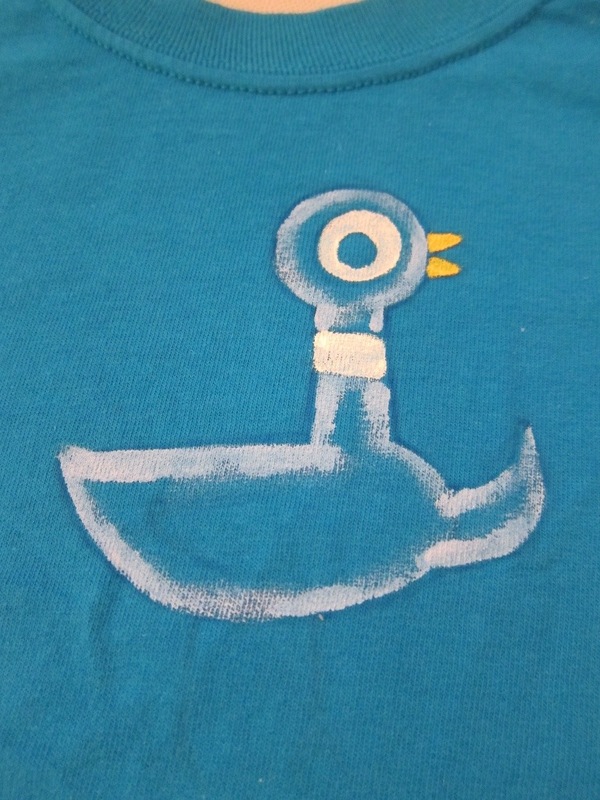 For the shirt, I originally planned on trying out the freezer paper stencils I’ve seen on Pinterest. The more I thought about it though, it seemed like I was making it needlessly complicated. Part of the appeal of Pigeon is that he is such a simple character, so I figured I’d see how it worked just freehanding it. 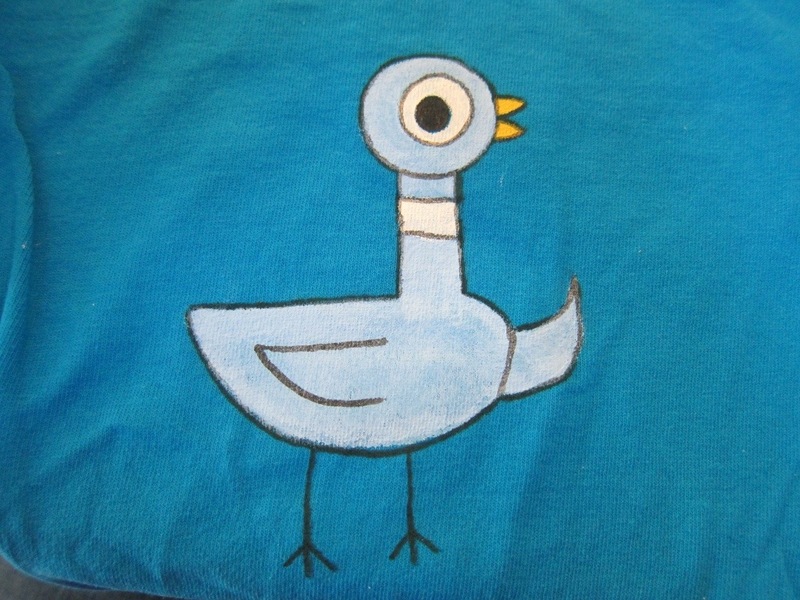 First I tried out painting Pigeon on the banner and decided it was easy enough and I was going to take the plunge with the shirt. 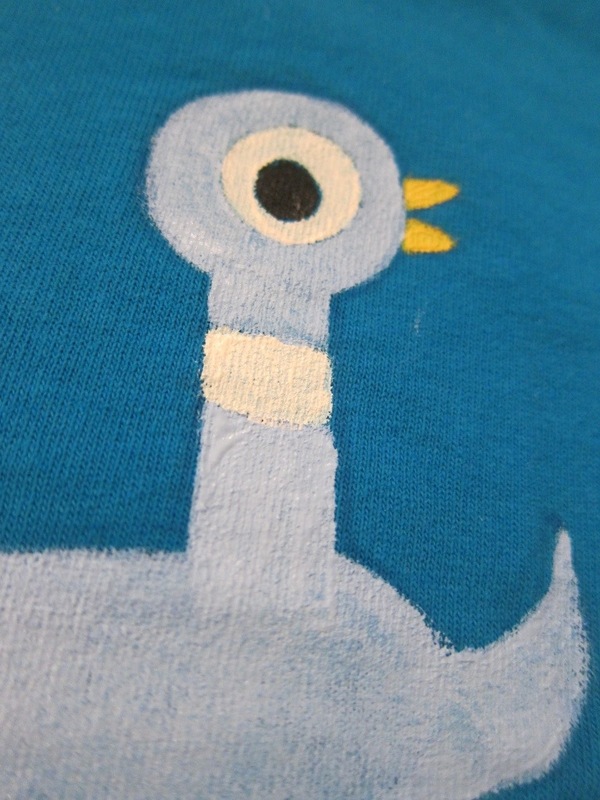 I drew Pigeon on the shirt with a disappearing ink marker and started painting. After I had painted in the shapes, I used a fabric marker to do the outlines. 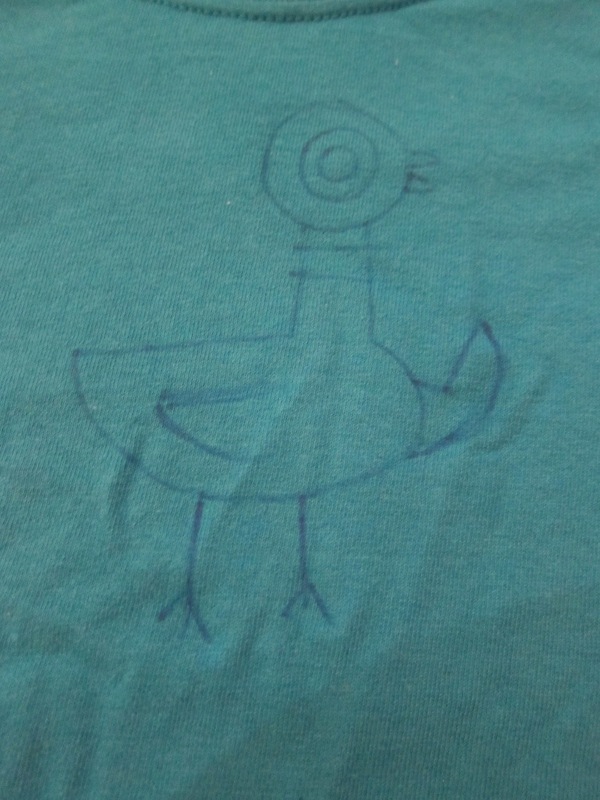 I was originally going to put a number 3 on the shirt too, but I decided to just do Pigeon so it wasn’t so birthday specific. I worked on the crown and shirt during naptimes and after Evie was in bed, so it was a surprise. The morning of her party when I brought them out and told her I had a special surprise for her to wear, she was so excited and gasped at them. I’m so glad she loved them!